Hi Mike! I just wanted to thank you for the tremendous job you did for the Lamplighter Auction this year. You said you liked challenges, and boy did you ever meet them! It was the first time EVERY Live item sold for ABOVE its fair market value. You somehow managed to make very simple items into huge moneymakers by working the crowd. I really enjoyed working with you this year, and I’m happy that next year’s team has you signed up to return. Thanks again for all your hard work! Megan Ratcliff, Lamplighter Auction Chair 2016. Entertainer Amy Grant has been affected by Alzheimer’s and Dementia with both of her parents having this debilitating and life altering disease. Whether she is singing Christian music, Country or Christmas songs, she is so talented, funny and caring. She is the real deal! United Country Auction Services is proud to support Christian organizations dedicated to taking care of our fellow man whether young or old. Our Christian Care Center event Monday, November 17 at the Westin Galleria Dallas was inspiring, raising over $100k for memory technology and services for seniors at the new Allen, Texas facility. We pray you are never affected by Alzheimer’s or dementia. God bless everyone who attended and supported CCC. Group Photo Caption: Doug Bradford, Lori Jones, Auctioneer Mike Jones, NBA Great Spud Webb, Mike Weaster, U.S. REO Partners, Montie Davis, Shaun Roberts and Bonne Whittaker, St. Jude/ALSAC. 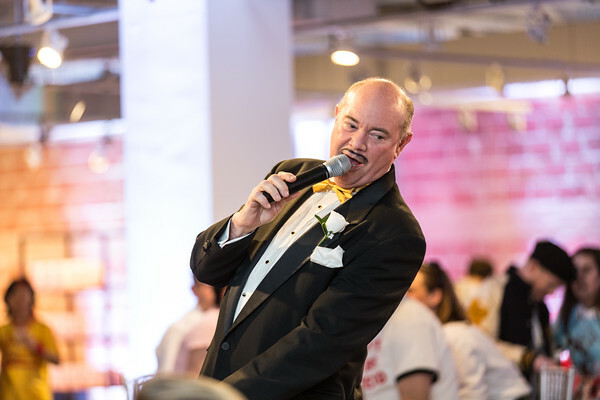 September 16, 2014 (KANSAS CITY, MO) – Over $65k was raised Sunday, September 14th for St. Jude Children’s Research Hospital in a joint fundraising effort by members of U.S. REO Partners – Default and Real Estate Professionals, United Country Auction Services and United Real Estate – Dallas. “We are ecstatic with the results of this year’s event” said Michael Weaster, representing U.S. REO Partners who helped organize the event. Weaster added “the auction produced twice the total amount raised in 2013 and we are already planning for next year’s event now”. Live Auction highlights included a signed Charlie Daniel’s fiddle, Autographed guitars by country music legends George Jones and Tanya Tucker, Trip to Puerto Plata Dominican Republic, Rare gold coin, Outer Bank, NC beach house, Computers and REO software. Academy graduate and U.S. REO Partners member emceed the event. The event took place at the popular Uptown Dallas restaurant Sambuca. Mike and Lori Jones, TREPAC White Party 2014 Auction, April 24, Goss-Michael Foundation Foundation Building, Dallas Design District, Dallas, TX. On a beautiful April night in Dallas, the valets ran non-stop as the “Who’s Who” of North Texas real estate arrived for what turned out to be the real estate professions party of the year. Over 300 poured into the Goss-George Foundation building on Turtle Creek Blvd, in the Dallas Design District to party, but along the way, they raised over $75,000 for the Texas Real Estate Political Action Committee (TREPAC) education. The evening which included an art exhibition and live and silent auctions was one of the group’s best to date. Noted Dallas auctioneer and real estate broker, Mike Jones, President of United Country Auction Services and his team oversaw the live auction portion of the evening. “As a Texas real estate broker and educator myself, this is a very important group to me personally, needless to say, it was an amazing night!” adding, “the energy was high and you could tell during the live auction and the fund-a-need portion it was adding up quickly” The group is already preparing for the 2015 TREPAC White Party. Our United Classic Auctioneers team, Montie, Phillip and Mario with Medal of Honor recipient Sgt. 1st Class Leroy Petry at the Halo Foundation Wounded Warriors Event, March 8, 2014. For those who could not attend in person or have not had the opportunity to see it, here is the always eloquent Hall of Fame Florida Auctioneer, Minister and Orator, Benny Fisher inducting Mike Jones into the National Auctioneers Association Hall of Fame, July 20, 2012 in Spokane, Washington. Benny’s insight, foresight and compassion made this an induction for the ages.